We have 3 project worker posts available in our Recovery & Support team in Halifax, and our Upper Valley and Todmorden teams. Details and how to apply on our jobs page. Closing date is 29th April. Safespace is now open on Mondays and Wednesdays, 5-10pm, in addition to usual Friday, Saturday and Sunday evenings, with new project workers Maddy and Marcine. Safespace offers emotional support at times when other services may be closed or difficult to contact, or might not be appropriate. Call Safespace on 01422 345154 or call/text 07388 990227. Healthy Minds has been selected from more than 370 organisations across the UK as one of 10 winners of the 2019 GSK IMPACT Awards. 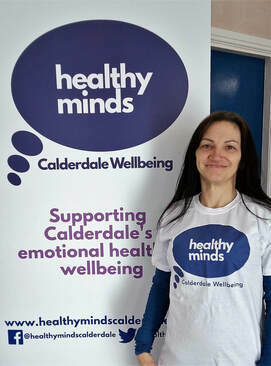 Healthy Minds works across the borough of Calderdale to promote positive mental health and wellbeing, give support to people in crisis and help recovery. The organisation is led by the people it helps to make sure it provides the right services, particularly for those who might find it difficult to seek help. It provides employment, financial and welfare advice to people who have experienced mental ill health, targeting those who find it difficult to seek help. These include support groups run across the borough, and the Safespace project, which offers help and a place to go at weekend evenings for people who are in distress or on the brink of a crisis. Healthy Minds runs specific projects to help people in different parts of the community, including the Roshani Project, which supported over 1,000 people from Calderdale’s BAME community in its first year, and work in Todmorden to support the community following the recent floods. Time Out, a recovery college for young people, promoting mental wellbeing through arts and crafts, sports, music and drama workshops, worked with 2,300 young people in 2017/18, and the charity also runs workshops in schools to help students learn about mental wellbeing issues like stress, self-harm and self-esteem. The charity has recorded impressive results. A sample of over 200 clients found that 61% said they didn’t need to visit their GP for mental health problems as much and 92% said that they felt more able to cope, less isolated, and less anxious. “The judges were impressed with how Healthy Minds works with the local community and the impact of its work. The organisation is led by the people who use its services and it has been able to identify where there are gaps in support. Healthy Minds will receive their award at a ceremony held at the Science Museum in London in May, along with nine other 2019 GSK IMPACT Award winners. We are planning a series of events to get behind Jilly and give others the chance to join in (and you don't have to be marathon-fit!). We'll post updates on our London Marathon page so please get involved. Healthy Minds is seeking a new Chairperson. Please see full details of the role, and how to apply here. Friday 21st December – Monday 7th January 2019. There will be no groups or Drop In sessions during this time. If you or someone else is feeling that they are going to harm themselves or are at risk from another person, there are services available to help. WE WISH YOU A SAFE AND HAPPY HOLIDAYS! Jonny & Jen from Healthy Minds with Martin Roberts from LBG - and a massive (in all respects) cheque! Huge congratulations and thanks to our supporters at Lloyds Banking Group who have raised an amazing £22,430.71 through lots of different fundraising activities this year, including the Bonanza raffle which was drawn on Friday. Massive thanks to everyone who got involved! Thanks to a Santander Discovery Grant, we are providing IT support sessions for anyone who wants to get to grips with using a computer, getting online, using social media and everything else IT-related. ​On World Mental Health Day, our Time Out project has been covered in today's Yorkshire Post. We are delighted that our Todmorden project has been awarded Breakthrough of the Year at the 2018 Community Spirit Awards! WELL DONE MIKE! We have heard that Mike has successfully completed his Mount Canigou mission (see below) - a huge achievement! We're looking forward to finding out all about it when he returns home and will post an update here. You can still make donations and congratulate Mike on JustGiving . Two intrepid fundraisers are undertaking very different ventures in support of Calderdale mental health charity Healthy Minds. You can also get involved with fundraising for Healthy Minds yourself by joining their 10th Anniversary Sponsored Walk on Saturday 15th September. There’s a £5.00 entry fee, and if people wish they can collect sponsorship. Money raised will go towards Healthy Minds’ Safe Space which provides much needed out-of-hours support at week-ends, for anyone over 18 experiencing emotional distress. Behind the celebration there is a serious message: 10th September is Suicide Awareness Day, and 1 in 4 of us will experience mental health problems at some point in our lives. Any of us could find ourselves going through difficult times, with feelings of despair and hopelessness. It’s vital to keep services like Safespace available, to provide free emotional support when it’s needed. New Art Group sessions. Starting Friday 31st August at our King St premises in Halifax. Booking essential. Details on the poster here . We've just come to the end of our time as Halifax Marks & Spencer 's Charity of the Year. Huge thanks to staff and customers who have helped raise a terrific £4629.61 through the year. COULD YOU RUN THE LONDON MARATHON FOR HEALTHY MINDS? We are delighted to have been allocated a place at the 2019 Virgin Money London Marathon, and we are now seeking expressions of interest from runners for this great opportunity. If this could be you, please contact us. Congratulations to Si Collinge, who has won the online raffle for a week's accommodation in a country house in County Mayo. See the official announcement here. Huge thanks to our supporters at Lloyds Banking Group who organised the whole thing, raising an amazing £3,590 in total. ... And the winning ticket! Our Todmorden branch is still offering courses and workshops while we're sorting out the workshop programme for the rest of Calderdale, pending funding decisions. You can tell us what you think should be included in future programmes through our survey. In the meantime, please see what's on offer in Todmorden. In line with new data protection regulations (GDPR), we have a new Privacy Statement explaining what information we collect and what we do with it. We will be reviewing all our contact lists so if you currently receive the newsletter, for example, we'll need you to confirm that you are happy to stay on the list. You'll still hear from us for the time being if you currently attend our groups. 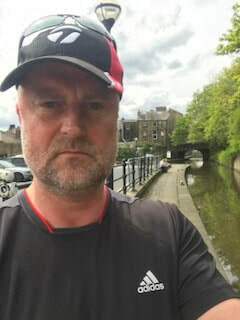 Martin Roberts has been giving Healthy Minds his support in lots of ways recently and has completed the sponsored walks on his own steam after we had to postpone them (as explained further down the page). Cramming the walks in over the past 3 weekends, Martin has completed approx. 65 miles, encountered "giant swans" and gained an impressive range of blisters, all of which has raised over £2500 already - this will be match-funded by Lloyds Banking Group - so that's a brilliant result so far. Martin's colleagues at Lloyds will continue fundraising through more intrepid adventures - you can see what's happening and give your support through their JustGiving page. Huge thanks to Martin and good luck to those taking on the next set of challenges! Passed the finishing line!!! On Saturday I started the last phase of the 6 sponsored walks in 3 consecutive weekends in aid of Healthy Minds. Martin (see above) has secured a terrific prize of a week's stay in a country house in County Mayo*. Sleeping up to 8 people, you can have your chance to win through the online raffle here. Huge thanks to Martin and, of course, the person who has donated this amazing prize. *Accommodation only: travel & catering not included. 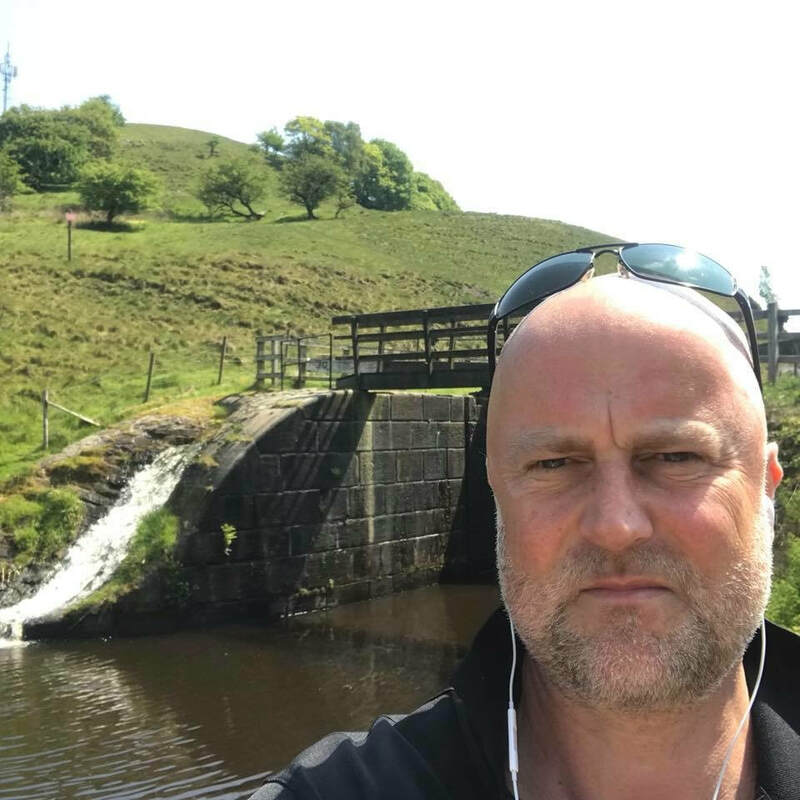 Although the sponsored walk is postponed, Martin Roberts is completing the walks under his own steam, having already gained some sponsorship from his colleagues at Lloyds Banking Group. Our thanks to Martin and his colleagues for their fantastic support. See their JustGiving page for details. We regret that we have to postpone the sponsored walk. Due to unexpected life events for the walk organisers, we are unable to manage the walks responsibly just now but still very much intend to do them at a later date. We apologise to anyone who was planning to join us on the walks. Please do contact us to ensure that we can keep you updated with new plans. 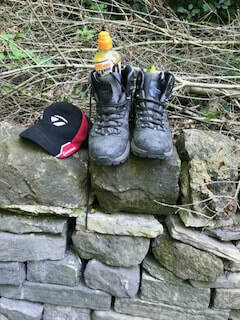 6 walks, 6 days crossing Calderdale! Sunday 6th May - 15th July. If you can, please support fundraising efforts for the family of Belinda (Binnie) Jones , who passed away recently. Young people's mental health was among the causes on which Binnie campaigned, and the fundraisers have kindly offered to share money raised with Healthy Minds. Calderdale Clinical Commissioning Group (CCG) is reviewing the adult psychological services it commissions (buys). Psychological services include talking therapies, such as counselling and Cognitive Behavioural Therapy (CBT), and specialist assessments and treatments. The CCG commissions these services from South West Yorkshire Partnership NHS Foundation Trust (SWYPFT) and Insight Healthcare and makes a contribution to services provided by WomenCentre. The CCG knows it can do better; sometimes people have to wait too long for psychological services and not everybody gets the right service that they need. This needs to change and the CCG will work with local people and its partners to make things better. The CCG wants people to give their views about its adult psychological services. It wants, in particular, to hear from people who use or who have used psychological services in Calderdale. The CCG is also running a survey which can be accessed here. Service users and carers with experience of the Mental Health Act are asked to complete an online survey to have their say on an Independent Review of the Act. The Mental Health Act 1983 is the law in England and Wales that covers assessment, treatment and rights of people with a mental disorder. This includes when a person can be admitted, detained, and treated in hospital without their agreement. The review has been set up to listen to people who have experience of the Mental Health Act so they can comment on what future practice and or the law should look like. The survey, which closes on 28 February 2018, can be completed online and includes questions about individuals and their experiences. Healthy Minds encourages people who have personal experience of mental health needs to share their views and have a say in what's happening around mental health. We'll soon be re-launching our Forum and would like as many people as possible to get involved. Find out more here. Halifax Jungle Walk- All Welcome!!!! ​Our next walk is on Saturday 17th February at 10.30am. ​Join us for this friendly urban walk around Wainhouse Tower, Savile Health and Manor Park plus a visit to the 'Jungle Experience'. Meet outside King Cross Library at 10.30am. The walk is fairly easy but paths may be muddy and there are some short climbs. Not suitable for pushchairs. We'll stop at the park for a cuppa and loo break on the way round. Please contact Cath on 01422 345154 to put your name down or if you would like further details. Our new address is 1 King Street, Halifax HX1 1SR (opposite Woolshops car park towards Halifax Minster). Telephone numbers will remain the same. This is an exciting move for us to be in larger, more visible premises in readiness for the launch of Safespace. ​Do you feel isolated and lonely in winter? Why not join this friendly writing group? Learn new ways to look at things. Set in the beautiful surroundings of Shibden Park, we will explore the heart and art of reflective writing to improve your mental health and wellbeing. ​Join Walk Leaders Kirstie and Helen at 11am outside Todmorden Market entrance for a walk along the canal to Grandma Pollard's Fish and Chip shop for some grub! The walk should take around 90 mins with an extra 45mins for food. We're sorry but while we will buy drinks we are unable to buy food. The walk is not suitable for wheelchairs but is possible with pushchairs with some help. Please phone Cath on 01422 345154 to put your name and phone number down for this walk. We didn't win Charity of the Year (see below) but are happy to have lost out to St. Augustine's Centre, with whom we work in partnership on our Money in Mind and Roshani projects. Congratulations to them! We are delighted to be shortlisted for this year's Community Spirit Awards as Charity of the Year. ...And while we're on that subject, just a little reminder that we're also Halifax Marks & Spencer's Charity of the Year (along with Halifax RSPCA due to an exactly split vote). We will be in M&S throughout October, coinciding with World Mental Health Day, so please call in and see what's happening. Thank you to Lizzie and her team who are embarking on a 1 mile swim to Lake Coniston in open waters to raise funds for Healthy Minds! Find out more & donate here. Come to our FREE celebratory event. Stop along the way at our allotment. Craft activities for all. From 12.30 “coffee and cake”, stalls, balloons, bunting and a chat at Todmorden Central Methodist Church. PLEASE HELP US WITH YOUR VOTE! Money in Mind is a partnership project with Christians Together Calderdale, Healthy Minds, Noah's Ark Centre and St. Augustine's Centre that helps people who experience mental health problems to become more resilient, financially and emotionally. To continue this important work, we need your vote! Money in Mind has been shortlisted for NatWest Bank's skills and opportunities fund and the public voting site is now open at http://skillsandopportunitiesfund.natwest.com/vote/. The project is listed under the North region as "Calderdale Wellbeing (Healthy Minds)". Healthy Minds is delighted to be launching a new initiative for young people across Calderdale. Time Out will bring together a range of activities and provision for young people and add more to the mix – from climbing to crafts, emotional resilience to eco-mentoring. The focus will be on improving emotional health and wellbeing and giving young people opportunities to try out things that they enjoy and help them feel good. It’s very much a partnership project and we’ll be working closely with both young people and like-minded organisations to come up with a dynamic model that young people can access easily and use flexibly. We’ve secured Local Transformation Plan funding for a year, but the plan is to create something that is sustainable long term. So as well as a notification, this is a shout-out to all young people and organisations who are interested in becoming involved in Time Out. We’ll be holding some introductory workshops to start the ball rolling; if you’re interested in attending one of these or want to learn more about the project, please email tara@healthymindscalderdale.co.uk or jonny@healthymindscalderdale.co.uk. We're re-advertising for Calderdale Safespace Team Leader - full details on our jobs page. ​Closing date Friday 31st March. Firstly, there will be no immediate changes in existing services: support groups, courses, workshops, our Open Minds mental health education programme, Roshani for BME groups, Money in Mind: welfare benefits advice and employment support, volunteer support and the Healthy Minds Forum will continue as they are for the time being. CCG funding has been significant in expanding Healthy Minds’ work and we have been grateful for this support over the past three years. The CCG is one of several funders who support our work, however, and our challenge over the coming months is to carefully monitor the impact of the CCG’s statement on us, as well as the many other organisations in Calderdale who are affected by this. Our aim is to preserve the services we provide alongside finding ways to meet growing demand. A big concern is that losing services in the voluntary sector will put greater pressure on everybody else and we are keen to work together with others to try to ensure that people who lose support elsewhere do not fall through the gaps. None of us will be able to meet everybody’s needs but we can strive to help as many people as much as we can. We recognise that Calderdale CCG has been forced into this position due to ever-tightening restrictions imposed on the NHS – this is not unique to Calderdale. Despite all the rhetoric we see in the news about increased funding for the NHS, and for mental health, this is not matched by the reality. If you would like to have your say, the Healthy Minds Forum is one way. Our new Todmorden Project is gearing up for launch and some services are already running. Full details here. We're seeking people who have personal experience of self-injury / self-harm to help us shape a new project speaking to children and young people about the issues. There are lots of ways to get involved, from advising to devising to co-delivering workshops. Details on the poster. We're recruiting for a new Todmorden project. See the Jobs page. We commissioned an external evaluation of our Recovery & Support service, conducted by Enriched Consulting & School for Social Entrepreneurs. We’re delighted that this has shown a great, positive impact for the people with whom we’ve worked: John’s Journey accompanies the report to illustrate this difference. There’s a Summary Report of the main points and, should you want to delve deeper, see the full Evaluation Report. Their SROI calculation has found that every £1 invested in Healthy Minds is worth £7.28 in social value. We're recruiting for Trustees to help lead the organisation. Details here. Walking Group: the next walk is the Brighouse Bracer on 4th October. ​Our latest newsletter is out now. Get it here. ​The Healthy Minds Calderdale Employment Support Project will be running a series of workshops in September and October which are outlined in document below. They are for people thinking about, preparing for, or currently in employment. The Self-Harm Group will NOT be running during August. The next scheduled group will be on Thursday 8th September. Support Groups. Have fun and get fit for free at People's Park: Healthy Living Park is a new programme of activities for people of all ages to get more active whilst enjoying the surroundings of People's Park. Zumba, Cycling and Summer sports are just some of the free sessions running between now and September - there's even a Teddy Bear's Picnic! Full details here. Healthy Minds is among the organisations holding a BME (Black and Minority Ethnic) Health Event on Thursday 26 May 11.30 - 2 at Queen's Road Neighbourhood Centre. Full details here. Healthy Minds article in this week's Halifax Courier! The next 6-week Well Aware course begins on 25th May in Halifax. Full details here. Please read Impact Report for Healthy Minds Parenting and Mental Health Conference 2015 below. We've been shortlisted among the Rastrick Big Local proposals that are now open for voting. Healthy Minds has held walking & wellbeing groups for some time in other areas, which have been extremely popular, and we'd like to extend this into the Rastrick area. Click here to see the proposals (we're under "G: Walking & Wellbeing Rastrick" - where you can see Nicola and Sam extolling the virtues of walking for wellbeing). Two new dates for the Walking for Wellbeing Group: Saturday 12th March Luddenden Dene and Friday 18th March Savile Park. Full details on flyer here. We are recruiting for an Employment Support Worker on our Money in Mind project. Details on our Jobs page. Headspace is a new, condensed version of our popular Well Aware recovery course. It will be launched in Mixenden on 1st March and places are still available. Full details here. Details of the latest walking group here. A pop up shop has opened in Woolshops to raise funds for those affected by local floods. It's in the old Accessorize shop, next to the Body Shop. Please note that, due to a great public response, they no longer require donated items but they do need help spreading the word to get customers into the shop. Also, if anyone is able to help in the shop please ring Jo on 07725 854932 or call in. Clearly, not everyone has internet access so please try to help get the word out to those people too. Our support groups have a programme of activities through November, details of which can be found here. Healthy Minds Calderdale held a conference about Parenting and Mental Health at the Elsie Whitely Innovation Centre in Halifax. The aim of the conference was to Celebrate World Mental Health Day and to bring parents and professionals together. It was attended by approximately 100 people. Delegates said that highlights included “hearing from people and networking” and “personal stories”. Speakers included Clinical Psychologist Sam Warner, Katrina Jenkins from the Mental Health Foundation and parents with experience of using mental health services. People took part in workshops, debates and networking. Delegates described the conference as “Informative, interesting and inspirational”. They also said “it was absolutely brilliant!”, that it “felt inspired and productive” and that “listening to service users and watching film was moving and gave a real element that was profound”. Please ring on 01422 345154 to register with your contact details or to get further information. This is the only way we can contact you should we need to cancel for any reason. Walks for Wellbeing - Coming Up! Our hugely popular walking group is striding from strength to strength with a series of walks planned for the rest of 2015 and into next year. Everyone welcome but please let us know beforehand if you can! Please find further details of all our walks on the Support Groups Page. 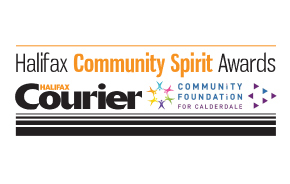 Healthy Minds has been shortlisted for Halifax Courier's Community Spirit Awards (Health & Wellbeing category). Awards will be presented on 9th July - fingers crossed & watch this space! UPDATE: The award went to Calderdale CAB's welfare rights project in the end. Details of the awards on the Halifax Courier site here. Healthy Minds at Neighbours day in Peoples Park, Halifax. To find out more about the Roshani Project listen again to Neelam talking on Phoenix Radio. To listen click the play button. We are working with Disability Support Calderdale and Noah's Ark on a joint project to support people who have physical disabilities or long-term health conditions to maintain good mental health. Full details on the flyer. New Allotment Group is starting up at Pye Nest, Sowerby Bridge. For more information download file below or contact Nicola. The Music Night Fundraiser was a great success. Big thank you to everyone who contributed. 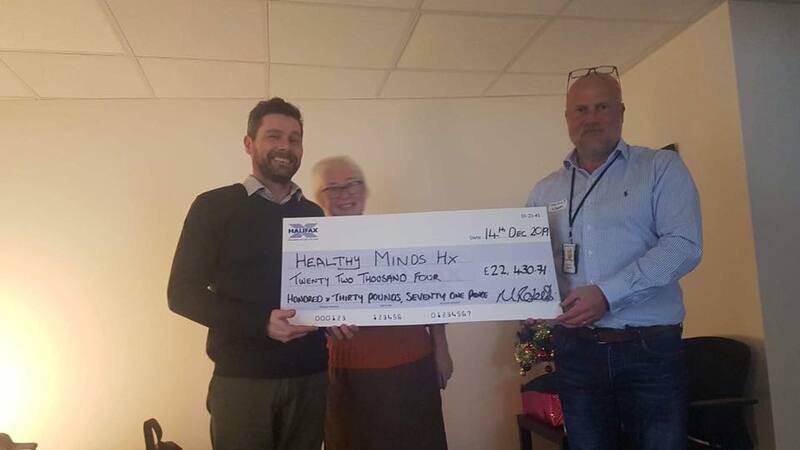 We raised £600 for Healthy Minds. We will be doing daytime forum meetings as well as evening forum meetings. For more information on the Forum go to the Healthy Minds Forum page. Click below to download the flier about daytime forum meetings. 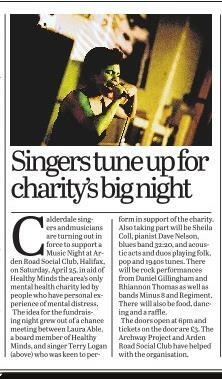 Upcoming Music Night in Halifax Courier article from 17 April. The latest line-up can be viewed here. We are organising a Music Night fundraiser, to be held at Arden Road Social Club on Saturday 25th April. You can buy tickets at the door for a suggested donation of £3 but please tell us if you're thinking of coming, just so we have an idea of numbers. Call or text 0771 538 2324 or email us. Help to spread the word! Feel free to post on Facebook, Twitter or in your local club, pub, shop or launderette - Download the poster. This Thursday, 5th Feb, is Time To Talk Day. Take 5 minutes to have a chat with somebody about mental health. More info here. Happy New Year to all from Healthy Minds! Throughout 2015 we will be running some standalone workshops on specific issues. The first is on 22nd January: Putting Yourself First. Find out about this, and the other workshops, here. We are recruiting for a new post: the Roshani project will work with the Asian community to raise awareness and tackle stigma around mental health. Applications are invited for the 18 hour per week Project Worker post. Details on our Jobs page. Important notice: the next Anxiety and Depression Group meeting in Elland will take place on Tuesday 23rd December. The Group will be meeting outside Cornerstones Barnardos on Victoria Road/Coronation Street at 12.30 and taking a short walk to Morrisons Café for coffee and a catch-up. Also, this group will be moving in the New Year - we are currently looking for a new venue so watch this space! The next Healthy Minds Walk for Wellbeing is at Shibden Park on Tuesday 25th November. We'll be meeting at 11am at Shibden Park Visitor's Centre. If you want to come along, please contact Cath. Fingers crossed for lovely weather! And the following week warm up for winter with our Winter Crafts session in Sowerby Bridge. It's a free crafty session from 1-3pm at St Paul's Church on Wednesday 3rd December. We want to check that our plans for development are on the right track. Please take two minutes to complete our survey here. We're in the Halifax Courier again - this time, along with other organisations, for World Mental Health Day event last Friday. Healthy Minds Forum has arranged a special session on benefits and JSA / ESA pilots will be held on Thursday 16th October 1-3pm at Voluntary Action Calderdale. Full details here. Healthy Minds article in Halifax Courier. Very exciting development: Healthy Minds Radio Show's first broadcast will be on Monday 29th September 9am - noon on 96.7 Phoenix FM! The new monthly show has been compiled by Forum members, volunteers and Healthy Minds staff. The first show features an interview with Dr Rufus May, along with music, chat and all sorts of other stuff. Thanks to everyone who has contributed, including the marvellous team at Phoenix who have helped pull it all together. Update: Venues confirmed: Self-harm - Victoria Theatre; Chronic Pain - Noah's Ark Centre. We're finding new venues for the self-harm and chronic pain groups. Full details will be made available once confirmed but, in the meantime, please contact us for the latest details. We've finally uploaded the film that the HM Forum members made for the Crisis Care Concordat - see it on the Forum page. We will be running a workshop at the Women's Centre on Monday 20th October - see flyer for more details.